Quick Reference Guide to the Worker Protection Standard (WPS) as Revised in 2015 (PDF). This one-page double-sided chart outlines requirements of the Standard itself (not just the revisions) with direct hyperlinks to the text of the regulation for each item being cited in the chart. It is also available in Spanish (PDF). EPA Agricultural Worker Protection Standard (WPS) Comparison of the New Protections to the Existing Protections; English (PDF); Spanish (PDF). This chart gives a quick overview of major changes for those that have a working knowledge of the 1992 WPS. How to Comply (HTC) With the 2015 Revised Worker Protection Standard For Agricultural Pesticides (PDF). It’s subtitle is “What Owners and Employers Need to Know”. You should read this manual if you employ agricultural workers or handlers, are involved in the production of agricultural plants as an owner/manager of an agricultural establishment or a commercial (for-hire) pesticide handling establishment, or work as a crop adviser. In addition to the seven chapters, there are handy appendices with definitions, checklists, and contacts! 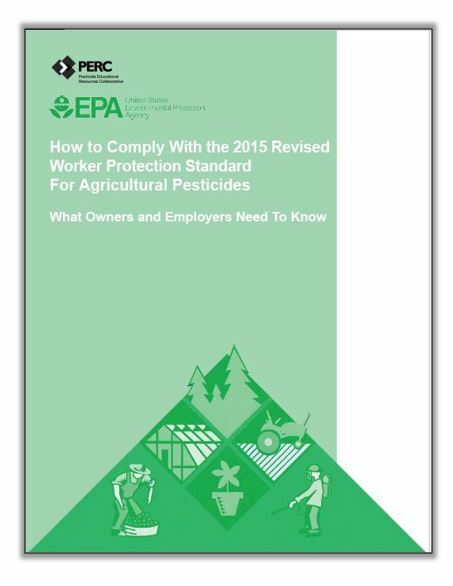 Frequently Asked Questions (FAQs) on EPA’s Revised Worker Protection Standard for Agricultural Pesticides 40 CFR Part 170 (PDF). Dated 4/14/2016. EPA provides practical guidance on nuances in the regulations. EPA has provided that they will update the FAQ periodically to address questions that come up during implementation. Please note that all of these cited resources refer to the 2015 Federal Revised WPS. Visit Rutgers Pesticide Safety Education Program’s WPS website for more detailed information. And feel free to contact your local county Rutgers New Jersey Agricultural Experiment Station (NJAES) Cooperative Extension, or Rutgers PSEP (848-932-9802) for further assistance.